Iran bagged several gold medals without participating in any games throughout the past decade. It won its first gold after the 9/11 attacks that triggered Great Satan’s war on al-Qaeda. It clinched its second when U.S. forces rooted out the Taliban who made no secret of their hostility to the Iranian regime. Iran won its third when U.S. forces brought down the regime of its nemesis, Saddam Hussein, in Iraq. It secured its fourth gold medal by way of the 2006 Lebanon War. The great Iranian program’s future looked rosy. When Mahmoud Ahmadinejad visited Baghdad (in 2008), he was fully confident that U.S. troops there were looking for an opportunity to leave. (Two years later) he went to Damascus, where posters of him with Bashar al-Assad and Hassan Nasrallah consolidated the rejectionist crescent. He seized the occasion of his (October 2010) visit to Beirut and South Lebanon to put the region and the world on notice that his country’s missiles were beached on Mediterranean shores. Iran won the gold medals and stepped up its quest for the ultimate prize: the bomb, or the ability to produce it and thus threaten the security of oil routes and Israel at the same time. On the outbreak of the Arab Spring, Iran tried claiming parenthood. It was elated by the downfall of the West’s friends. But when the Arab Spring enveloped Syria, it stumbled into a ruinous trap. Iran cannot let go of its strong and close alliance with the Syrian regime. Remaining neutral is implausible and keeping out is impossible. Syria is not only a corridor to Hezbollah in Lebanon. It is much more than that. The relationship with Syria is the most important triumph of the 1979 Khomeini revolution. Iran’s presence in Damascus means its presence in Beirut and South Lebanon, in the Arab-Israeli dispute and in the Palestinian issue. Iran’s presence in Damascus also preempts any serious attempt to hem in the Iranian surge across the region. Iran cannot accept losing Syria. But it can’t salvage the Syrian regime either. The regime is severely damaged at the core. The (Baath) party is on life support. The (Syrian) army’s image is badly blemished. The Syria crisis lured Iran into a blatant and horrific clash with Syria and the region’s majority. The clash has some sectarian overtones as evidenced by the repeated abduction of Iranians in Syria. 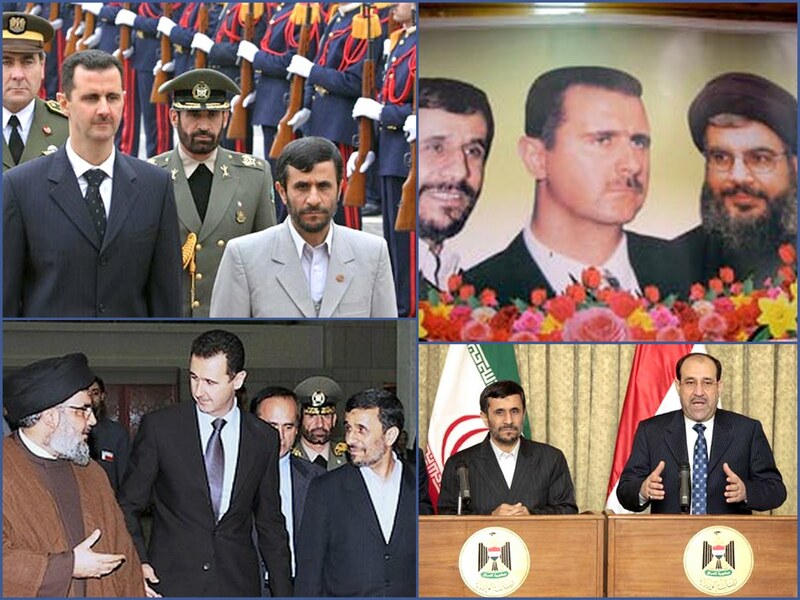 The isolation gripping the Syrian regime is afflicting Iran as well, notwithstanding Russia’s objections. Iran is roasting on the Syrian fire. It can’t opt out or distance itself. Nor can it change the course of events. It is hurting because of developments in Syria and the sanctions. Not since the start of its (1980-1988) war with Iraq did it face such difficult circumstances. Escaping forward from the Syria crisis by initiating armed hostilities in South Lebanon or instigating a major crisis in the Gulf seems fraught with dangers. Sending volunteers to Syria would mean touching off a sectarian regional war. Gambling on keeping hold of a slice of Syria would open the way to a reconfiguration of maps. That would open the doors of hell and require the consent of Vladimir Putin, who is exploiting the Syrians’ blood to reinforce his country’s status. Iran is twisting and turning on the Syrian fire. It is test firing new versions of missiles much as an anxious boxer tries reminding the world of his muscles. The time of collecting gold medals has lapsed. The time of losing out has dawned.